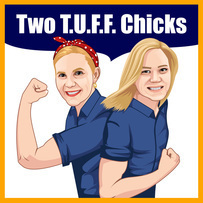 Would you like to be an affiliate of our Two T.U.F.F. Chicks Mastermind Products? We pay out 40%! 1. Set up a PayPal account, if you don't have one already. 2. Complete the "Affiliate Request" form below to receive your affiliate links, banner ads, sales page and affiliate ID. 3. Once accepted as an affiliate, promote your ads and exclusive links on social media, your web site and/or blog site. 4. Get paid 40% of the profits for each of your sales! Learn more on the commission plan page. Required for tax purposes and business book keeping.